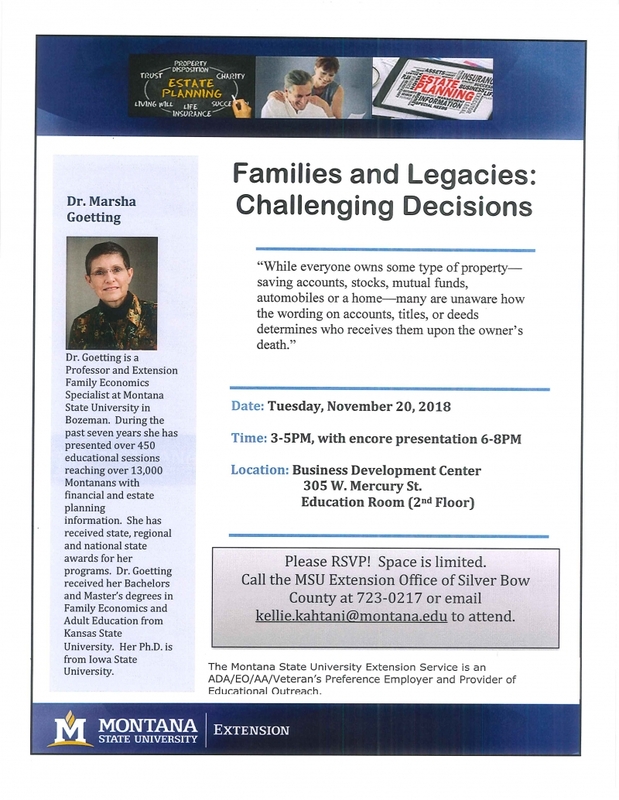 We have Dr. Marsha Goetting coming to Butte to present on Estate Planning and the Montana Endowment Tax Credit. She will be presenting twice on Tuesday, Nov. 20th at the Business Development Center, from 3-5PM and again from 6-8PM. 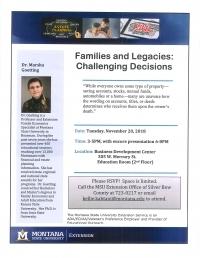 Please RSVP, as space is limited!